The reviews of the best online bookmakers and betting sites, bookmakers opinions and analyses of the betting sites. Do you remember the big successof Betfair Exchange? Well, you have to know that Betfair was launched to have the same success, offering a great service in the field of online betting. For that reason, we have to say that Betfair Sportsbook is more than a traditional online bookmaker. The site is well done and it is very intuitive: you can find everything you need with just few clicks. When Betfair.com was launched, not everyone understood the innovation, but one is one of the most important and useful bookie in the world of the online betting. Every player have to bet here and never leave the site. Signup with Betfair Sportsbook today: deposit and discover the welcome bonus of the period! You can triple the deposit or have some free money! SIGN UP NOW! 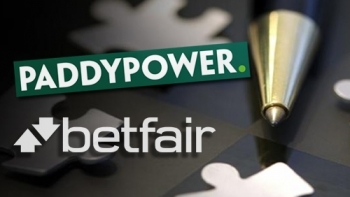 The owner of the site understood that the old Betfair was not enough for the players and so he decided to launch Betfair Sportsbook for those who prefer traditional betting with fixed odds. With that change, bettors have a greater choice of betting opportunities and a wide range of bet types (Doubles, Trebles and ACCA’s too). This is fantastic for bettors all aroud the world, because you can mix and match bet types creating the best bet for your need. Betfair Sportsbook can offer a wide range of sports to bet on, but this is not enoygh, because on the site you’ll find something more and event the possibility to bet online on live events. The site has a focus on UK sports, but it offers a big choice even for European and American sporting events. You can bet especially on football and racing but there are also over 30 other sports to bet on. Is this enough? Yes, it is. The Betfair.com sportsbook offers members a service to bet online, thanks to a fast streaming service, but there is also a Betfair Radio and a live score/video service to watch results in real time: you can understand very well because this site is one of the fastest growing betting portals all around the world. The bookie in question also offers a wide range of support tools, including an excellent sports betting forum, which lets players discuss bets and tips with other players. There are many good reasons to start betting at Betfair’s Sportsbook. You can have various benefits such as promotions, bonus and much more. Every day and every week, on the site happens something special and only the members can receive the benefits. Betfair Sportsbook offers fixed odds, free bet offers, intuitive betting tools and a very well done website. Register now a new account to have the biggest welcome bonus. If you have a problem on the Betfair Sportsbook site, you can contact their assistence, that can be reached by either email, telephone, post or online on the Betfair website.